A stalled housing development at the site of a former ambulance communications centre in Rotherham looks set to be kick-started as a planning application is submitted by the property's new owners. The property at Fairfield on Moorgate went up for sale last year. It comprises of two parts. To the northern section is the Old Ambulance Station formally used as a communications building where emergency calls were processed. On the southern side is Fairfield House, a detached period house which is used as offices by the Yorkshire Ambulance Service. An application has now been submitted by Sheffield development firm, Jaguar Estates, for the prior notification of proposed demolition of the communications building. 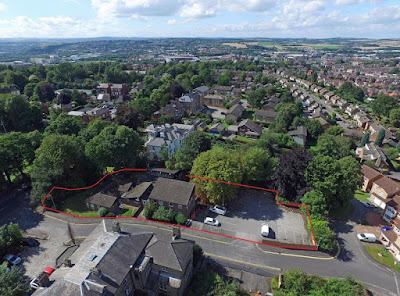 The sale and demolition follows on from a previous planning application from the Yorkshire Ambulance Service NHS Trust in 2014 which involved replacing the communications building with four new family dwellings. Having been amended, the plans were granted conditionally but never implemented. Permission to demolish the buildings, which are in the Moorgate Conservation Area, was originally approved in 2011. The new application, drawn up by Self Architects states that demolition is taking place in order to re-develop the site for residential. It adds: "Permission to demolish was previously granted under planning approval RB2011/1081. The building is a single storey 1970's or 1980's of no architectural merit." A subsequent application is expected for residential development with associated landscaping on the cleared 0.225 hectare site. It is not yet clear what will happen to Fairfield House, the substantial Victorian two storey former residence which was the former headquarters of the South Yorkshire Ambulance Service before a merger in 2006. It is currently the Administration Centre - South Division for the Yorkshire Ambulance Service. The control centre was vacated when new contact centres were created in Wakefield and Rotherham. Jaguar Estates is a family-run property developer and investor based in Ecclesfield. It is perhaps best known in Rotherham for its commercial developments, such as Magna 34 at Templeborough. Previous residential schemes havee included conversions of former manor houses and derelict and listed buildings, as well as traditional new-build apartments and houses. Fairfield is empty and being stripped out by contractors hopefully it will be retained as flats.